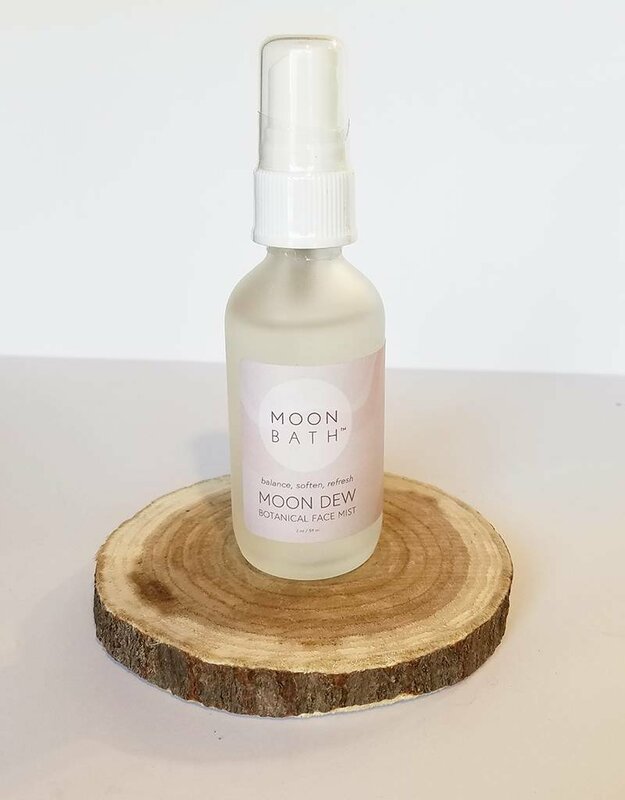 Moon Dew calms and restores your skin while opening your heart with the aromatic plant waters of tulsi and rose. 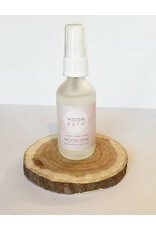 Spray liberally to refresh face throughout the day and integrate with your daily facial ritual. Rose hydrosol cools, rejuvenates, hydrates and softens skin, while calming redness and reducing irritation. Tulsi (holy basil) hydrosol calms inflammation, clears clogged pores and acts as a healing and firming toner for the skin. Rose is said to bring true love, while tulsi is said to clear the aura.